The Bolshevik Government in Russia aligned with Germany (1918) and later with Turkey (1920). As a result of this betrayal Turkey started a new war against the young Republic of Armenia. At the same time Bolsheviks attacked Armenia from the east. Being a member of Antante, the Armenian Government appealed to the British Government, but the answer was disappointing: “sorry, our vessels can’t climb your mountains”. The Armenian Government decided to transfer power to the Bolsheviks with the hope that they could rescue the country. But the Armenian Bolsheviks were not successful and Armenia, having yielded significant territories to Turkey & Azerbaijan (Karabakh and Nakhichevan), established the Soviet Republic of Armenia on only one-tenth of its historic territory. The Republic of Armenia in spite of the boundaries of the Soviet regime managed to achieve significant success in the development of almost all spheres of the economy, science, culture and art. All of these are expressed in a sort of a quintessence in the Capital of Armenia, Yerevan. 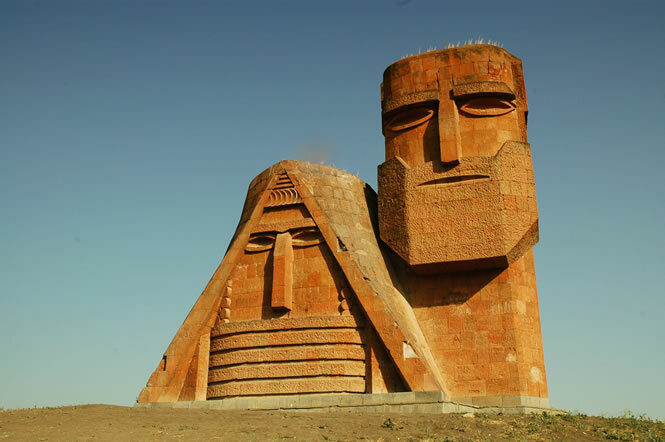 In 1988 the population of the Autonomous Region of Nagorno Karabakh initiated a movement of reuniting with their motherland, Armenia. Tough repressive measures were taken against Armenians by the Soviet government and by the authorities of Azerbaijan. Demonstrations were responded to by the massacres of Armenians in the different cities of Azerbaijan including the capital city Baku. In 1991 the Soviet Union was dissolved. As a result, Azerbaijan declared its independence. Nogorno Karabakh carried out a referendum and based on the results of this referendum also declared its independence. 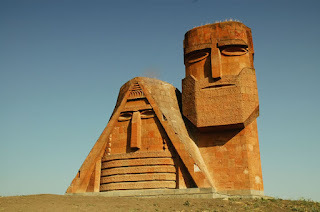 In 1992 Azerbaijan initiated a war against Nagorno Karabakh which lasted until the present ceasefire agreement of 1994. On September 21, 1991, the Republic of Armenia declared independence from the Soviet regime. It still suffers from the unresolved Karabakh issue and is blockaded on two sides (Azerbaijan and Turkey). But in spite of hardship, the tiny country enjoys a free and independent life.